This resource book that provides guidance and tips on genealogical research. This book does not drown you in complex instructions or suggestions that are hard to follow through on. Instead, you learn the key steps and proven strategies of tracing family roots. Answers to basic questions about genealogical research. Suggestions for finding resources and tracking down crucial information, including tips on recognizing valuable information that might be right under your own roof. The lowdown on genealogy computer programs, and a guide to making the power of Internet work for you. Charts and forms that make it easy to organize your results and move to the next step. The more you find out about your ancestors, the more you will want to learn. 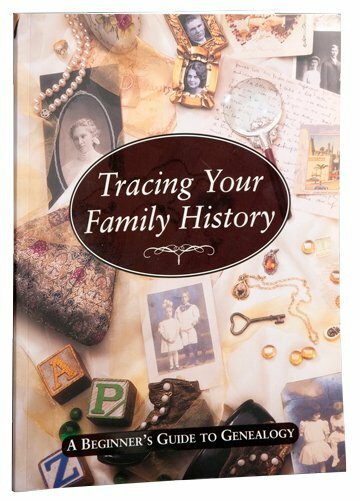 Tracing Your Family History: A Beginner's Guide to Genealogy makes a great gift for a parent or an inquisitive child who wants to become the family historian.